This interview was conducted through email by Poetry Advisor Mark Haunschild. Of the process he says, “I’m interested in the way David advocates an unmasked literature, one in which reality is mirrored more than it is foiled. Increasingly emptied of the artifice, posturing, and virtuosity found in earlier generations, his work reaches across the divide between writer and reader, between self and other; he crafts an incredibly personal experience in which his consciousness speaks to our consciousness in the voices of others. Here he talks about his latest book How Literature Saved My Life, developments in his earlier publications, his future projects, and the writers and mentors that have guided his practice." Mark Haunschild: Where your earlier nonfiction has explored subjects like celebrity, race, sports, and the stages of life through an autobiographical lens, your recent work reads as an examination of reflexivity in contemporary literature—that is, you’ve recently been writing essays that are self-consciously essays about essays—and of course, so much more. In broad stokes, you’ve moved away from writing fiction; sustained investigations have become koan-ish reflections like so many beads on a string, the connective filament always fraying. To what extent have you been cognizant of these shifts in your work? What, that you know of, motivated the change of course? 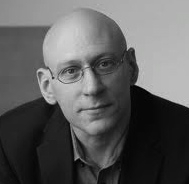 David Shields: I recently did a 5-day blog post for powells.com on this subject—how each book one writes leads to the next book—as a form of chain-smoking. Each book is a revisiting or undermining of previous books—traditional fiction led to less traditional fiction, which led to nonfiction, which led to collage nonfiction, which led to increasingly splintered work, which led to a brief phase of theorizing about the work—which leads to the end of that. I love the idea of Picasso’s blue period; one goes through phases. I want never to be bored. I certainly don’t actively will each new phase. For a while I wrote a few books that deal with sports, but that just happened. I’m not pretending an ignorance is bliss stance; only that phases happen very organically, I think, as a species of self-questioning and form-questioning. If you want to write seriously, you have to be willing to break the forms. MH: I recently listened to a David Foster Wallace interview with my students where he discusses writing about pop culture. Your own references in your newest book, How Literature Saved My Life (2013), range from the obscure to the popular. In what ways do you (writers today) also have to be willing to reconsider what counts as “literary” subject matter? DS: I like how Wallace discusses—in this interview or elsewhere—how his MFA professors at Arizona told him and his classmates that they couldn’t write about pop culture, and yet the professors’ own work of a previous generation was saturated with pop references of that generation. I’m terribly interested in breaking down high/low distinctions. Fear can be found in a handful of dust. MH: In your latest book, you open with the claim: “All criticism is a form of autobiography.” It strikes me that this sentence works as a pivot between your recent nonfiction: Enough About You: Notes Toward a New Autobiography (2002), Reality Hunger: A Manifesto (2012), and HLSML. Could you talk about how the relationship between these books was developed over the past decade? DS: I think that’s right. That line is crucial. People who know me well think of Reality Hunger as perhaps the most howlingly personal book I’ve ever written. I also think you’re right that those three books form a bit of a trio, don’t they? They are three attempts to articulate a position—each one building off the previous one. MH: I don’t mean to appear dense here, but can you say more about how you mean “personal” in the context of Reality Hunger or HLSML? How do you see the personal working in these books, composed as they are in the voices of so many others? DS: In HLSML it’s pretty manifest: I quote various people, but I am overtly talking about myself throughout: stuttering, love life, suicidal longings, thanatophobia, etc. In Reality Hunger, the hunger is mine. I am craving to get to something tangible, something physical. The passion of the book is my own. MH: Does this opening proposition, “All criticism is a form of autobiography” also hold true for you when considering the whole of literature? To what extent is all literature a form of autobiography? DS: Alas, I do think this way. In many, many ways, all of my recent work—Remote: Reflections On Life In The Shadow Of Celebrity (1996) forward—began with how bored I was when I heard writers pretending that they had made everything up. I knew that wasn’t true for them, and I knew it wasn’t true for me, and I’m hugely interested in literature as a form of autobiography—not reductively—but as a serious communication between one self and another self. I like it when one consciousness (Pascal or Sterne or Melville or Ernaux) is speaking directly to another consciousness (the reader). MH: I like that, David. One consciousness speaking to another. I just finished reading Sarah Manguso’s The Guardians (2013). (I also recently lost a friend to an unexplainable suicide.) When I was reading that book, I felt like, yeah, now there’s another human being I can understand. In both of her memoirs she deals with the problem of memory so intricately and honestly—she remembers how things happen in a way that makes sense to her, there are things she knows but cannot remember, she imagines how things might have gone differently. It seems to me that that’s how consciousnesses speak, through mutual acknowledgement of the unsayableness of (past) experience and of the paradoxical relationship between language and reality. How do you tackle the problem of memory in your own work? DS: I tend to foreground the problematics as well. I like work by writers such as Dyer, McCarthy, Slater, Manguso, Nabokov—all works that are at least as much about memory as they are about anything remembered. The perceiver by his very presence alters what’s perceived: that is pretty much the banner under which I fly as well. MH: In HLSML you humbly describe your journalist parents as “frustrated” writers. A younger you once admitted that he wanted to take a different direction in his own work. And you did. I’m wondering to what extent you find your own work “frustrated” or frustrating, today. How have your own tensions, say between nonfiction and art, driven or stalled your creative process? DS: Not sure I totally understand the question, but I like it, to the extent I understand it. I think of all of my work in a way as a work around writer’s block. I was bored with novel-writing, and I have found a way to write that plays to my strengths and interests. I am forever a blocked writer, a frustrated writer, a bored writer, and I am always figuring out ways around that frustration. I think that drives everything I’ve written from 1996 onward. MH: Yeah, that question was bit opaque (I keep over-posturing all of this. [Here I go again]). I guess part of me was wondering how, in a general way, you would respond to the “we become our parents” thing. I’m also curious about the extent to which writing (period) is frustrating. I like your answer here though. Comfort and stasis do seem to go hand in hand. MH: In other recent interviews, you’ve talked at length about the process by which you wrote Reality Hunger, which you also discuss in the new book. Could you speak here about the process of writing HLSML? DS: That was interesting. I just shot a lot of film. I didn’t know where I was going. I just knew I wanted to write a book about life and art. I just developed film for dozens of moments, not sure where it was all going—but I knew it was always about life and art. Then I read Ben Lerner’s great Leaving the Atocha Station (2011), and I realized the form and structure for my book. MH: I appreciate the metaphor here. You talk a lot about films in your new book and include them under the umbrella of “literature.” How deep does this metaphor go? Could you talk more about how you see the relationship between film and literature operating in your own (or others’) work? DS: I see myself mainly as a film editor. A lot of the cuts in my work and in other people’s work whose books I admire—Michaels, Simon Gray, Spalding Gray, Manguso, Fusselman, Coetzee, Markson, Maggie Nelson—have been influenced by the radical juxtaposition of film and video. MH: And for that matter, could you talk about your interests in music, how song plays a role in your work? I know you’ve spoken elsewhere about sampling, remix, and mash-ups in rap music. DS: I’ve been listening to rap since the late 1970s. The influence has been so pervasive I wouldn’t know where to start. I think it’s pretty clear how much Reality Hunger is in conversation with this. MH: What are your affinities with the plastic arts? Where do the painterly and writerly intersect in your work? DS: I’m heavily influenced by collage in music and visual art. Hugely so. Everything from Christian Marclay’s film The Clock to key abstract expressionist painters (Rauschenberg, Pollock, Rothko) to Picasso to Richter to everyone else. MH: How do you see technology affecting developments in your own work or in contemporary literature? Many speculate that the physical book as we know it is most likely in its final throws. Have you given much thought to how technology, the blogosphere, the wiki-age, and social media might play a role in the evolution of your own work and career? DS: Hugely so—from typewriter to electric typewriter to computer to email to smartphone. My emphasis on compression, concision, and velocity: I’m trying to keep up with the speed of light. MH: In one of the longest sections of HLSML, you include brief discussions of fifty-five works you “swear by.” Who are you reading right now? What titles are you excited about today that you didn’t mention already in the book? DS: Right now I’m crazy about Annie Ernaux’s Things Seen. It is an extraordinary work that looks at first glance like a casual journal, but is in fact a brilliant collage meditation on the relation between private disequilibrium and public violence. MH: It’s clear that you appreciate the constructive and collaborative nature of language. A book is acted out, acts, and is acted upon—readers shape meaning as much as writers (and editors). I’m wondering if you might talk about your actual collaborators. At the end of HLSML you mention a project that you’re working on with a former student, Caleb Powell. For readers who may not have read the book yet, what can you tell us about the project and your collaboration with Powell? DS: It will be published in September 2014 by Knopf. Caleb is a former student—from 20 years ago; he and I argue about everything. He wanted to become an artist, but he overcommitted to life (he’s the stay-at-home dad to 3 young girls). I always wanted to become a person (I don’t know how to change a tire), but I overcommitted to art. That is the essential dialogue and debate. I am very excited about the book; it began as a week-long debate, turned into a 400,000-word manuscript, and we edited it into I Think You’re Totally Wrong: A Quarrel, about 230 pp. MH: How have your students or teaching inspired or prompted your writing? To what extent have you considered them collaborators in your creative process? MH: You’ve been teaching for a while, for two and a half decades, or more, right? How do you balance your attentions between teaching and writing? DS: I’ve been teaching on and off since 1985. Yikes. Coming up on 30 years. I’ve had a lot of time off—sabbaticals, grants, etc. Now I have a teaching schedule that allows me to be writing 7-8 months a year. MH: I guess I’m also interested in your own teachers and mentors. Who were your most important teachers? Who do you call “mentor?” Why? DS: John Hawkes at Brown—taught me about voice. Nick Delbanco at Iowa—taught me about structure. Phillip Lopate—opened up the essay to me. MH: Fakes: An Anthology of Pseudo-Interviews, Faux-Lectures, Quasi-Letters, "Found" Texts, and Other Fraudulent Artifacts (2012), besides being a great companion to Reality Hunger, both satirizes and celebrates the taxonomy of literature, the divvying up of characteristics into genres, the labeling of a text’s kind and degree; the forty writers included in the anthology simultaneously thumb their nose at rules and are bound by them. It seems to me that anthologies, typically, either codify a trend or agitate against one. What were your goals when editing Fakes? DS: You got it in one, Mark—as my British friend Jonathan would say. I do love using these anthologies as a way to build on arguments from my previous books. The Inevitable: Contemporary Writers Confront Death (2011) is a sequel of sorts to The Thing About Life Is That One Day You’ll Be Dead (2009). Fakes is a sequel of sorts to Reality Hunger (although I must say that the lion’s share of the work was done by my co-editor, Matthew Vollmer). And I have a new anthology I’ve co-edited called Life Is Short—Art Is Shorter: An Anthology Of Very Brief Prose, Lengthy Introduction And Extensive Commentary, by David Shields And Elizabeth Cooperman. This book is now seeking a publisher, and it gathers the arguments of Thing About Life and Reality Hunger. Fakes is, to me, not the solution to anything per se, but it situates itself nicely in a limbo space—as I like to say, caught between floors of a difficult-to-define department store. Seems to me one way one could write now without succumbing to traditional narratives. MH: There is little doubt that you have been, recently, a controversial figure in a centuries old debate about the ethics of writing, and of nonfiction specifically. What would you say to critics who suggest that you have pushed the line between art and empiricism, distance and immersion, lyric and narrative, too far? Where do these lines lie in your own work and practice? DS: The main thing I’d say would be the value of a work of art can be measured by the harm spoken of it (Flaubert). MH: Awesome. Shields does Shields. I like that. But I guess I’m wondering: What role does criticism—including praise—play in your practice? Do you ever feel the need to respond to criticism directly or in your own work? If so, when and why? DS: I think HLSML is a bit of a response to the complicated reaction Reality Hunger received. HLSML is an attempt to be a heart to the mind’s manifesto, an attempt to explain that I wasn’t trying to kill the patient—I was trying to save the patient (but the patient was definitely terminal)—; it’s an attempt to take Reality Hunger theory and apply it as practice. I didn’t realize that at the time, but I see that now, to an extent. MH: Recently, several nonfiction authors have defended themselves against criticism of fudging it by claiming the pursuit of a “deep,” “higher,” or “emotional” truth, as opposed to the Truth truth (if there is such a thing). For many readers this defense could sound like relativistic academese. What’s your take on the relationship between memory, fact, truth-telling, and the essay? How do you see these concerns expanding our possibilities in the art, and to what extent do you find these ethics, or the debates about them, to be stultifying, for critics or for writers? MH: I know there’s some buzz about The Private War of J.D. Salinger, described as an “oral biography,” which is scheduled for publication in September of this year. Are you as excited about this book as all of Salinger’s and your ogling readers are? I know you’ve said elsewhere that you can’t talk about the project because of a non-disclosure agreement. Well, sir, let me tell you, your secret is safe with me. Give us the skinny. DS: That’s a good line, Mark—“your secret is safe with me.” Made me laugh, but I can’t discuss yet. MH: Could you end by giving us a little teaser? What are you working on in your next book? DS: Next books coming up are Salinger book, David-Caleb book [Sept 2014], Other People: A Remix (70 of my essays massively rewritten and rethought and reorganized in order to form a meditation on whether one person can understand one another, and if not, what consolation if any art provides) [January 2016].